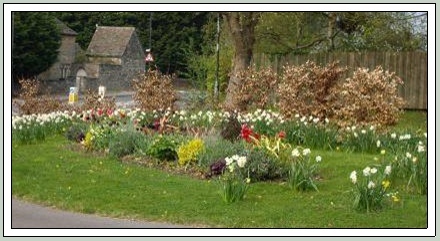 Following the success of the bed at The Knapp it was decided that all the beds throughout the town would be redesigned using in the main sustainable plants. 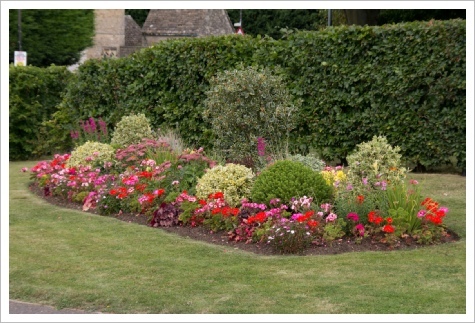 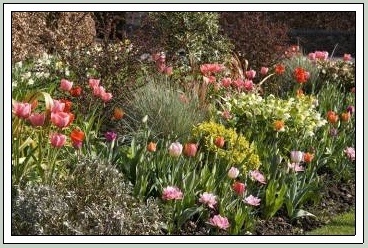 A small quantity of seasonal bedding would be added to carry colour throughout the season. 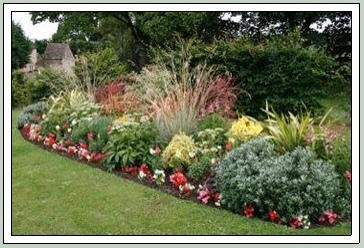 Doing this would reduce the overall amount of maintenance, watering and cost. 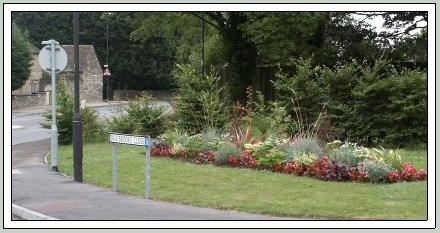 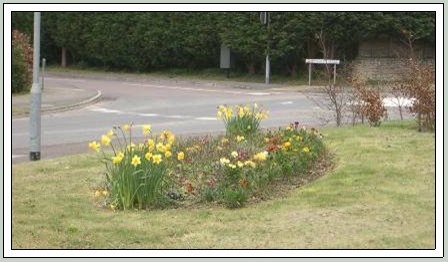 The bed at Braybrooke Close was the second to be planted by the newly formed committee in September 2005. 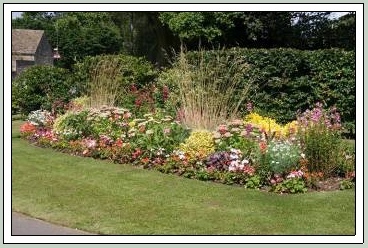 By this time it had been decided to give each bed its own identity and this bed was given the theme ‘Spikey’. 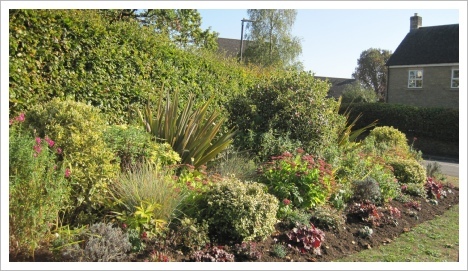 Variegated holly, red berberis, colourful phormiums, lavenders, grasses & hellebores were just some of the plants chosen for this bed and looked great for the first few seasons. 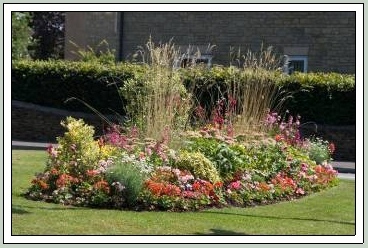 However, in the harsh winter of 2010, we lost all our phormiums and penstemons in this bed. 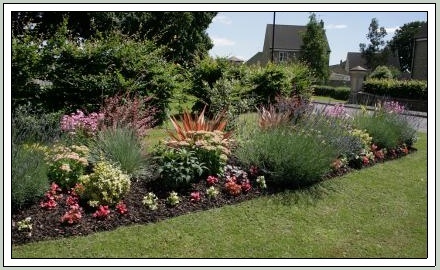 Initially we re-planted penstemons and replaced the phormiums with the larger variety of golden euonymus giving a hardier way to create the same hit of colour. 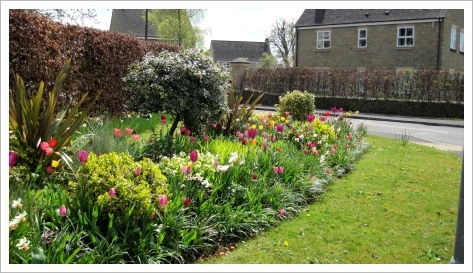 In autumn 2012 we planted several hundred crocus to extend the flowering season from February right through to the first frosts and in more recent years, daffodils have been added to the spring display.